Visualize the local sewer system for municipality inspectors, add location based-notes and pictures. Mobile interface of web-based system. One of the largest networks, not often discussed, is right below our feet: the sewer system. This immense system needs to be in perfect shape at anytime, however it needs a lot of maintenance work and inspections. 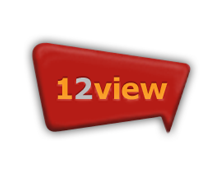 12view is a web-based system that makes inspections visible to municipality inspectors. Applified created a mobile tablet application for VanderValk+deGroot in cooperation with NMPO, making the sewer system and its maintenance work visible to municipality workers. Location-based, municipality workers can view what work needs to be done, add notes, add photos and plan tasks. Information under and above the ground is coupled.